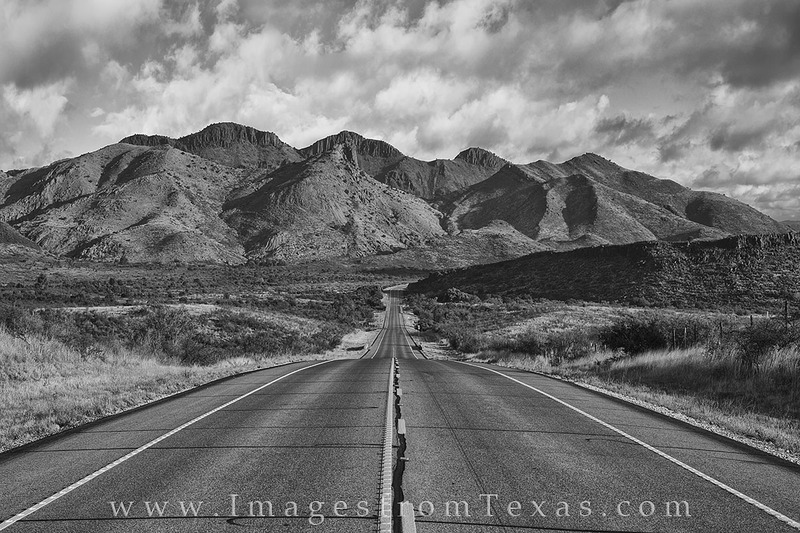 This black and white image takes you down Highway 118 from Alpine into Fort Davis and the Davis Mountains. Just beyond the curve in the road is the town of Fort Davis, as well as Fort Davis National Historic Site. Beyond that just a few miles is Davis Mountains State Park, a remote and hidden gem in west Texas. Photo © copyright by Rob Greebon.